First recognized for his photographic cutouts of the most significant buildings in the world, Mexican artist Jose Dávila continues to demonstrate his sculptural prowess with gravity-defying, captivating forms. 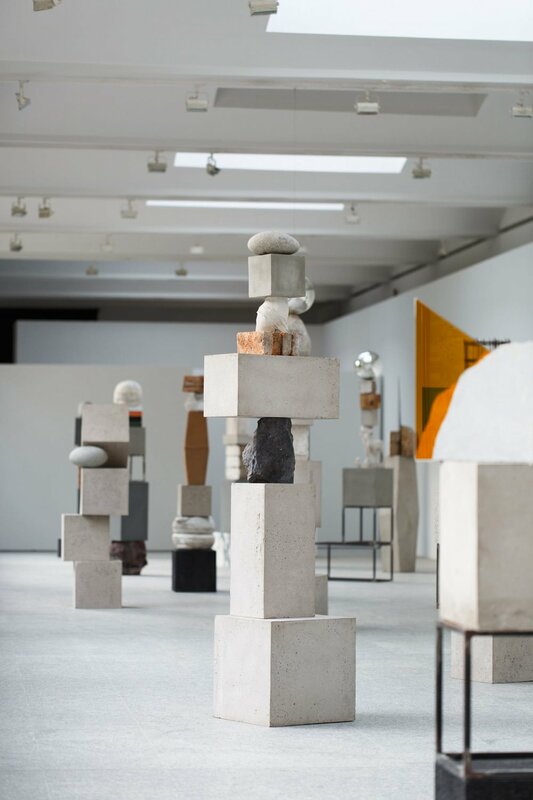 For his latest series, Not All Those Who Wander Are Lost, Dávila explores a curated summary of materials that reoccur throughout the history of sculpture, creating his own interpretative timeline in the form of vertical configurations. As if cropping and rephrasing words to create new text in the vein of William S. Burroughs and Brion Gysin, Dávila merges definitive elements from across the spectrum of sculpture – organic and industrial materials, found objects, minimal, figurative, and classic elements – into upright compositions. They resemble totem poles, both symbolizing and expanding on the definition of sculpture as an art form, and playing on the human aspiration to ‘ascend’ through life. They are imposing and important looking, as if spiritually significant to a mysterious faith.